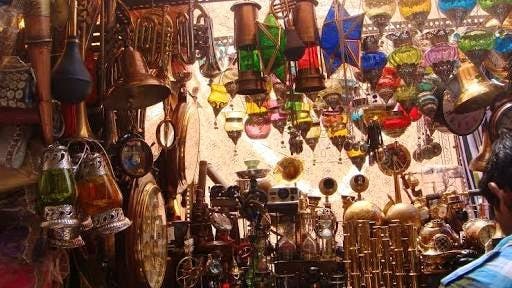 Colaba Causeway is a must-visit for the sheer variety of all kinds of jewelry. You will get pom pom, traditional, temple, owls, feathers, dream catchers, chains and stones: you name it and you'll find it here. The rates should be a little lower. Bargain. Bargain. Bargain. You can get them down to at least 50% of the original cost. Cheap clothes are also available. So you can check those too. Make sure you zip your wallets and bag and ensure your belongings are close to you. Pickpockets are around.